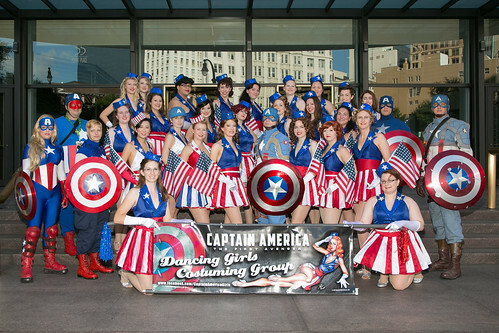 For those interested in making the costume, we have a Facebook group. 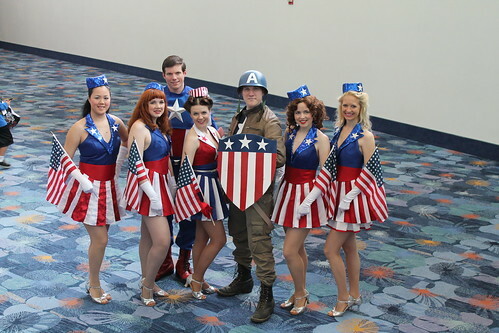 Through the superheroic efforts of Kathy, we have standardized information about fabrics and patterns to make the outfit, so that we all look identical when we meet up at conventions. 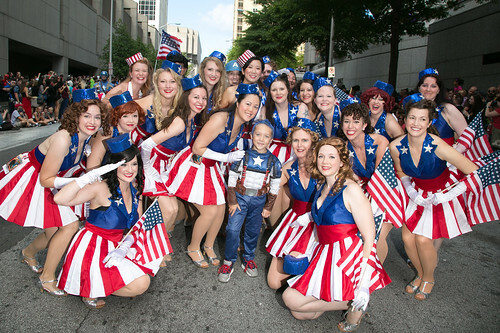 The effect is *really* awesome when we get a lot of girls together, as we have for the parades and photoshoots at Dragon*Con. 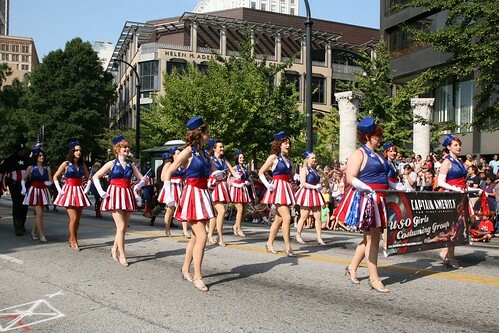 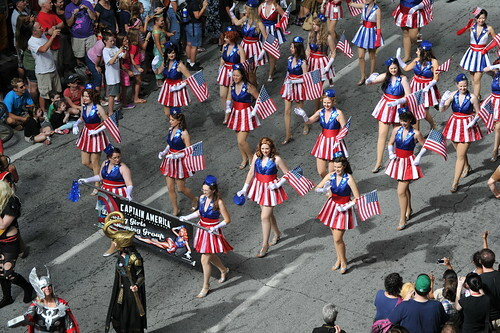 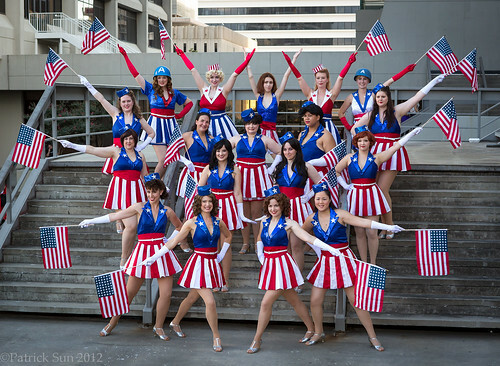 I've called cadence for our entry in the parade since 2011 and it is *so* much fun! 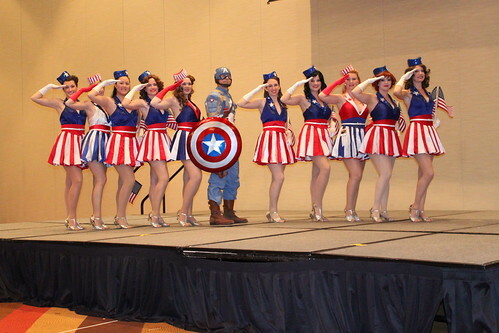 At Dragon*Con 2012, a group of us performed a "Star-Spangled Man" skit at the Masquerade and won Best Patriotic. 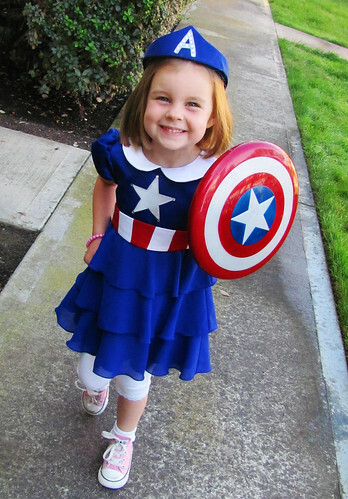 It's Tiny Princess Captain America time! 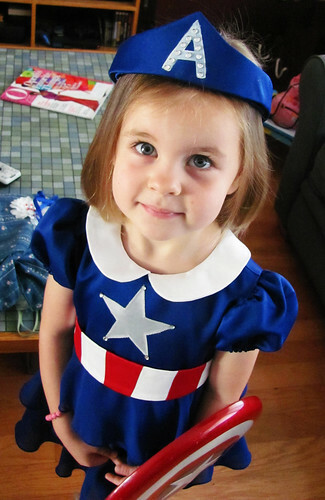 I made this costume for my three-year-old niece this summer, originally for her to wear at Origins. 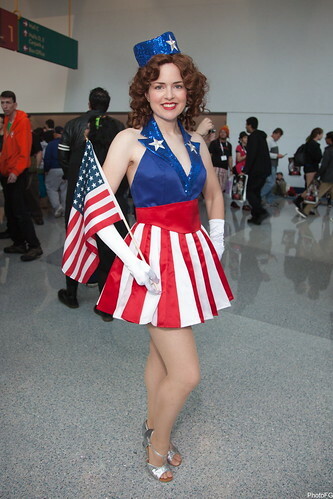 She's since worn it for San Diego Comic-Con, the Fourth of July, and Halloween. 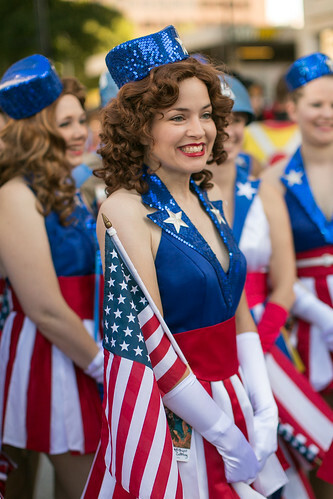 Read on to find out how to make it!